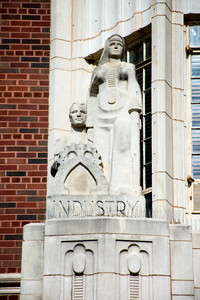 A Statue outside of Adams Hall depicting Industry created by Julius Struppeck. 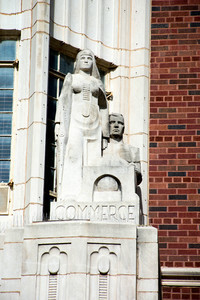 A Statue outside of Adams Hall depicting commerce created by Julius Struppeck. 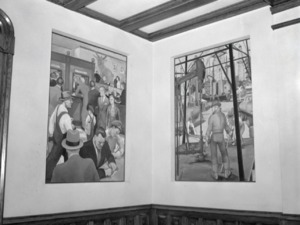 The murals in Adams Hall in 2015. 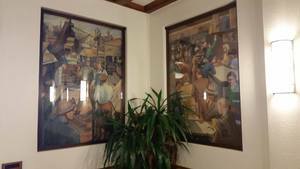 These murals were originally created by Craig Sheppard. 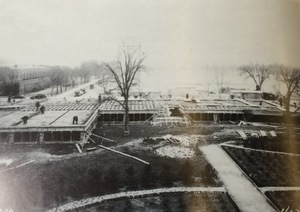 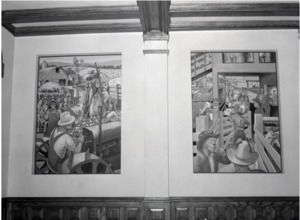 Murals in Adams Hall, created by Craig Sheppard, in 1939. 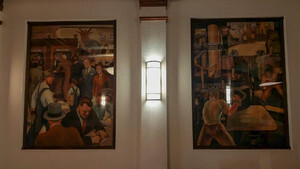 Murals in Adams Hall, created by Craig Sheppard. 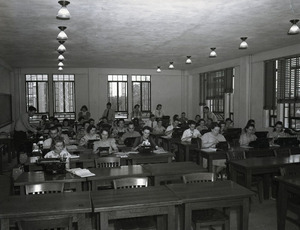 Right Side is "Cattle Industry."